A disc jockey, often abbreviated as DJ, is a person who plays existing recorded music for a live audience. Most common types of DJs include radio DJ, club DJ who performs at a nightclub or music festival and turntablist who uses record players, usually turntables, to manipulate sounds on phonograph records. 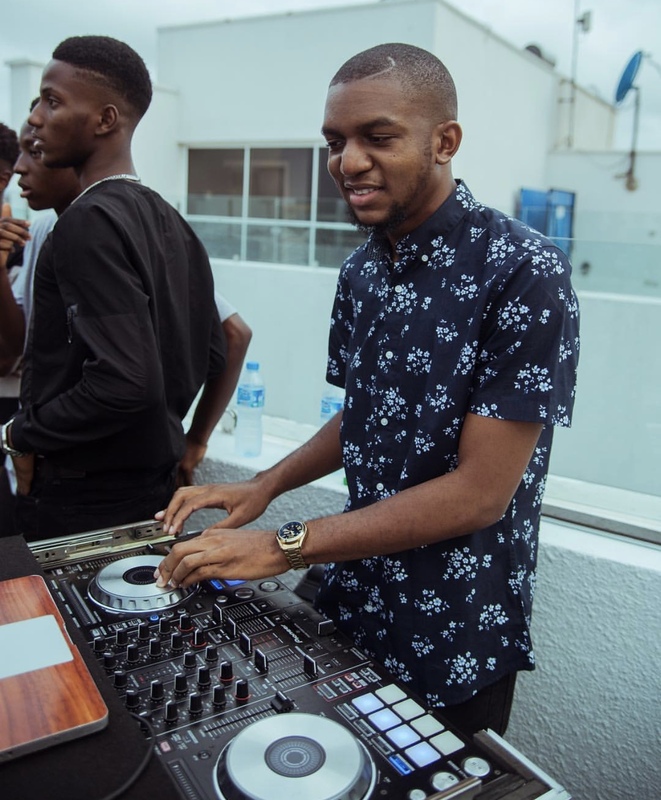 To celebrate and countdown to our December’18 pack we reviewed and made a list of our top youth Dj’s in Lagos Nigeria . My name is OMAR KAREEM . I’m Ivorian (Ivory Coast) and Nigerian . I live in Lagos nigeria. i became a Dj 6 years ago , I was in year 11 in high school. I use to use my laptop and a software called virtual Dj . I loved listening to music, so I just made sure i was djing for every party in my high school and every house party my friends organized. Music is my inspiration menh and who inspires me well a lot of people inspire but they are 2 DJ CONSEQUENCE AND DJ PRINCE that really inspire me well cause I always just watch them and learn from them and yunno talk to them if I wannna know something extra. I love throwing party , I also do pr especially for clubs and parties so that’s what I will he doing . Well I love playing sports, spending quality time with my friends and family yunooo, I love eat and shopping as well. I just like enjoying myself and anyway possible you get me . When I played in the club the first time. And I could seee everyone vibing I was like I can do this menhhhhhh , it’s so cool. Nah not reallyyy and it depends on where and which Dj is playing before my set but after that . It really doesn’t matter. We are still going mad the crowd vibe. My biggest fear is loosing my mom and not being successful in future.. This question .Just know I’m a baby boy for lifeeeeee . DJ PRINCE AND DJ CONSEQUENCE. It has so much meanings you can’t literally relate it to anything . They should keep doing what they do and just so they know people will always talk but they should listen to that. Their future isn’t in the hands of the people talking. Most times the people talking don’t even have anything for themselves. So they really should always do what’s their mind , play whatever they feel they should play tbh and just make a vibe . My first performance as a dj was really demanding complains and all but I didn’t give up I was really nervous . scream and jumped on me. for beginners you guys should keep doing what you doing pray to God , find something that differentiate you from other djs and consistency is the key to Success. I’m not good giving advice but don’t allow your nervousness get to you cause then you will only be doing yourself . I’m DJ Franky. A professional disk jockey based in Lagos , Nigeria. Djing is a very amazing craft , it’s really just about keeping people on the dance floor and making them dance to their favorite tunes all night long. I started djing about two years ago . My first public performance was not something I always like to talk about , it wasn’t bad but I was really nervous cause I didn’t know how people would feel about the music I played. It was a houseparty, 30mins in my set , the vibe was right . I see everyone dancing and having a good time and I begin to get comfortable but I still knew I had a lot of work to do on myself. I like music a lot and I like the reaction I get from people while on the decks , everyone goes home with a smile and I’m fulfilled. Dj Spinall inspires me : his craft , his brand , everything about him inspires me to do more for myself. Hmm , I hang out with my friends on my free days . Yeah definitely, I get nervous before a performance that nothing would go wrong but few mins into it I get comfortable and more relaxed. lmao there was this time at a wedding’s afterparty a lady walked up to me and kissed me , I was so confused but she said I made her night . 12.How do you see the entertainment industry in Nigeria- The Nigerian entertainment industry is great and keeps getting better by the day but it’s also a very difficult one to get into , it takes hard work , consistency and a lot more to get into . I’ll say work on yourself and when you feel the world is ready to hear you then go for it. And Im a Professional DJ,CLUB n EVENT DJ also working on the Travelling Dj aspect soon enough would take too place. I became a Dj in Canada was slowly taught by one of the TOP DJS IN TORONTO (DJ PEE)he really was an inspiration. My First Public Performance was A House Party and it was reallt Lit from that I gained courage to WOW the crowd. My inspiration..theyre many Well DJ PEE..DJ KAYWISE...DJ WHALES and the baddest female DJ BURNA! I would be a Footballer..Or a Fashion Designer. Well I just mess around with DJING and try to create new things.. I also play Soccer...Im a shoe freak so I love dressing and looking good too. 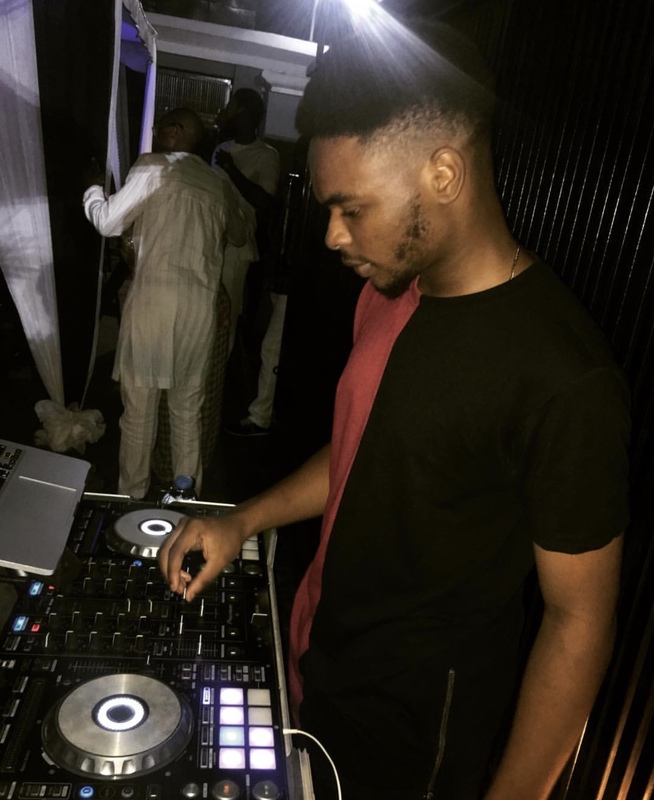 Well, I first realized I could be a Dj when I met this friend in ABJ (Sowa) He talked too me and all that he wants me too be part of one of ABUJA”s biggest festival which is #THECAPITALMOVEMENT and 2k plus people would show up certainly wasnt false and I took it as a challenge! And when I started Djiing The crowd showed me love! At first! Mehn It was Scary due to the fact that I wasnt really known in Abuja I was new but encouragement from my G (Sowa) Even My Girl Amarachi Ijeh S/O to her she encouraged me soo much,My Big Cousin Hes a brother too me Brother Etiend thank you. Not Forgetting #TheCapitalMovementTeam itself! Theyre the best! But now I can Dj anywhere without Fear we thank God. Loosing My mum. Dont wanna even think about it. Entertainment Indusrty In Nigeria is Moving its really moving and has improved we are beginning too give young talents a chance too see what they can do and theyre doing it and This should continue.BIG UPS! To the entertainment industry. But Honestly DJ PEE is idk idk his fingers are magical! Also DJ KAYWISE BRUH!! Pardon me but I have more than one. DJ WHALES Inclusive is a very influential person I love him and also S/O too DJ BURNA!! Baddest female DJ. And most of alll!!..... Thank you Jermaine Media!!!! Moreover for having Me many Blessings! Amen! 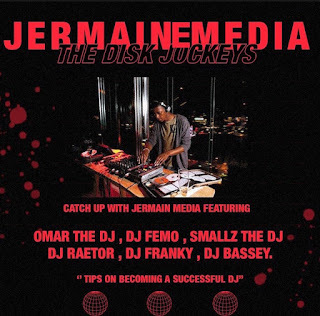 Jermaine Media is nation wide with members across different states and countries , Jermaine Media is in Lagos , also Osun State Bowen University. WhIL concert and food festival What happens in Lagos concert and food festival by ajebutter 22 was amazing .